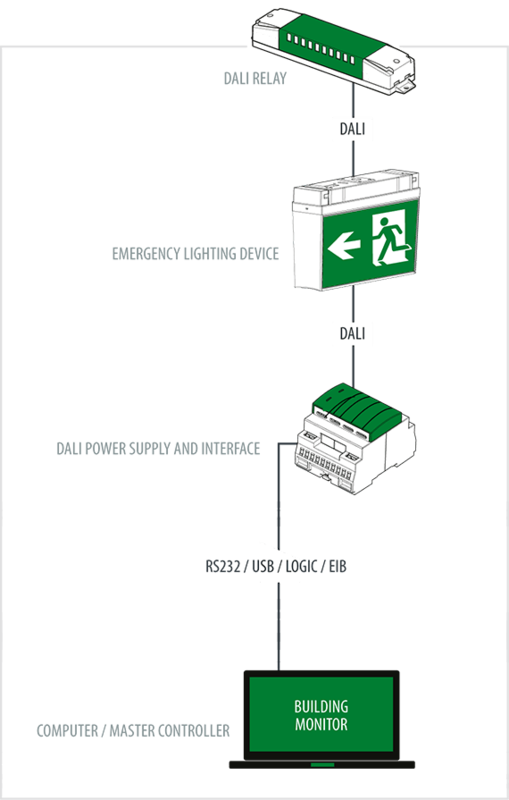 The DALI standard allows for specific control over many different types of devices from fluorescent lighting, HID lighting, emergency lighting and others. The DALI definition has a set of commands that are common to all DALI devices; however, it also has device specific commands which can be accessed using a special device type instruction. The DALI design allows for up to 256 different types of devices to be created that have their own special commands and features. Some different device types are defined in Part 200 of the standard EN 62386 and are listed to the right. Special commands are device specific; for example the DALI emergency converter has special commands to perform duration and function tests, while the DALI ballast special commands allow the control of features such as lamp life counters.